The underlying premises of this textbook series are "short, compatible and express." "Short" means that the texts are short, with clear explanations of grammar points, making the books suitable for short-term Chinese language teaching. "Compatible" indicates the books’ generality. When choosing the topics and making teaching arrangements, the writer removed the time and regional elements, making the books suitable for Chinese language teaching to different mother-tongue speakers in different regions. "Express" means that the books are helpful in improving the Chinese language ability of learners rapidly, and assists them to quickly adapt to the Chinese language environment to meet their daily communication needs. Price is for each set that includes textbook and workbook. Listening and Speaking also includes an audio CD. 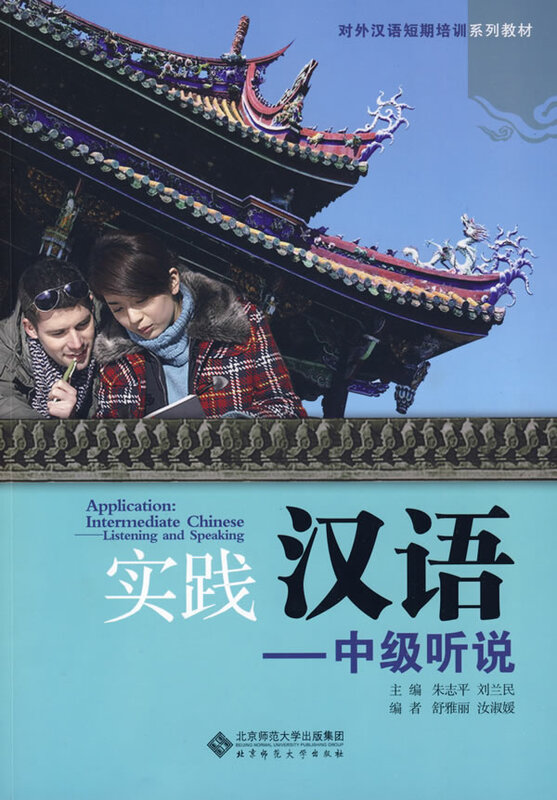 Application: Intermediate Chinese - Listening and Speaking is the supportive spoken language book for the intermediate level. The book is designed according to the topics and challenges in the "reading and writing book", supporting students as they learn to have dialogues on the topics. Each lesson has a "warm-up", which generally introduces the discussion topic of the lesson. Each lesson is divided into two parts, listening and speaking. This book attaches great importance to the teaching and practicing of the language function.